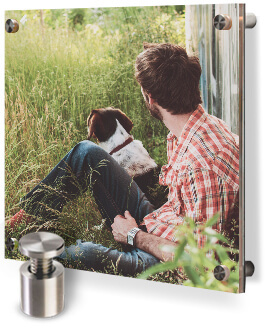 Bring a modern look and feel to any room with our Face Mounted PlexiPrints®. 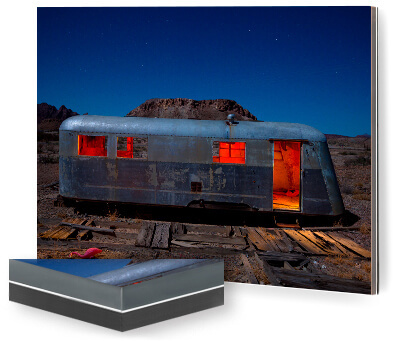 Archival metallic photographic paper optically face-mounted to museum grade acrylic brings added depth and makes images glow with an otherworldly shimmer. The result is an unbelievably rich and vibrant look with an incredible amount of saturation. Scroll down for pricing and to learn more about our PlexiPrints®. A unique way to exhibit your artwork. 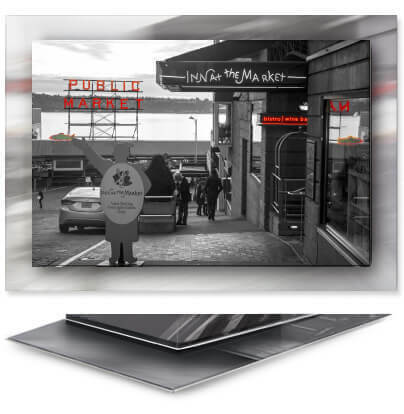 PlexiPrints® are beautiful photographic prints that are optically fused to museum quality plexiglass for stunning color and detail. Available with a variety of finishing options. Quantity discounts available. See pricing table below. 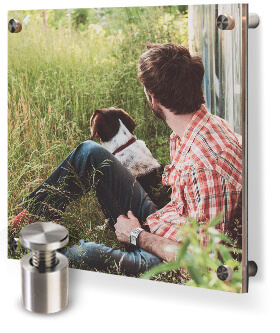 Our standard PlexiPrints come ready to hang with a robust hanging system at no additional cost. 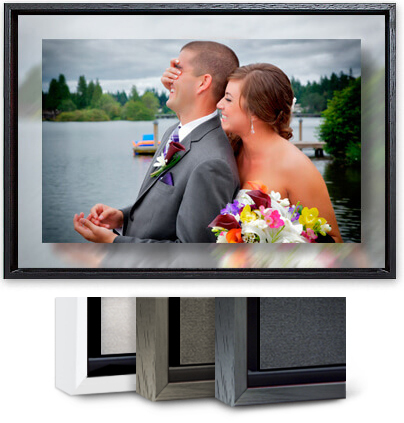 We use Nielsen Framing - an extruded aluminum float mount system that keeps the print about 0.75” off the wall. 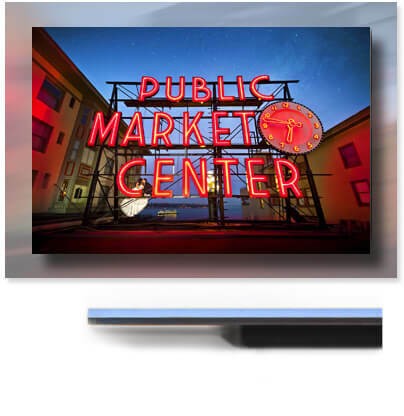 We also offer beveled edges upon request. 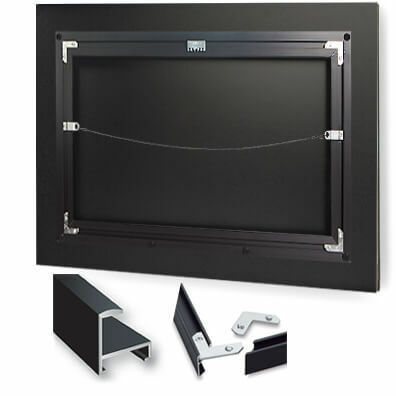 We install the Nielsen Framing float mount system on to a 3mm black Sintra backer with your choice of Sawtooth or Wire hanging options. We also offer 6mm & 13mm backers upon request. Get twice the impact with our double float mount technique. We use our standard Plexiprints to create the foreground image. 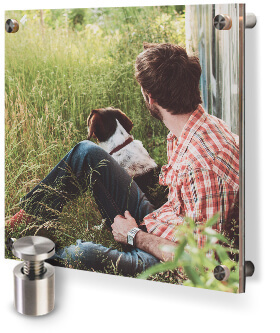 The background image is an Aluminum Dibond print with our Velvet non-glare UV laminate. The non-reflective and smooth, velvety background juxtaposed against the rich, vibrant Plexiprint makes for a stunning presentation. We use special techniques to stylize the background image so that it perfectly compliments your foreground image. Finish off your PlexiPrints with our gorgeous solid wood Silhouette Frames. Available in Black, Espresso & White. 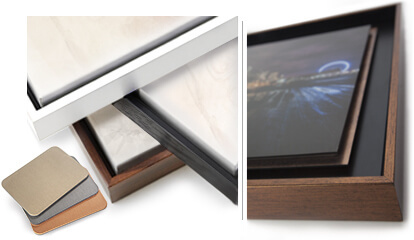 Choose from a wide variety of framing and accent options. Our wall stand-offs are the perfect compliment to a stylish and contemporary presentation. Available in Small, Medium or Large.